The UN court in The Hague rejected former Bosnian Serb leader Radovan Karadzic’s request to be allowed to file an appeal against the length of his prison sentence for genocide and other wartime crimes. The Mechanism for International Criminal Tribunals in The Hague on Wednesday said it would not allow an appeal against the length of the life sentence imposed on former Bosnian Serb president Radovan Karadzic last month. “There are no legal grounds in the statute or the rules of the Mechanism on the basis of which Karadzic may appeal the second-instance judgment or its part,” said the decision signed by MICT president Carmel Agius. Under the decision, the MICT also rejected Karadzic’s request to approve the appointment of a legal counsellor who would help him prepare a request for a reconsideration of April’s second-instance verdict, which raised his sentence from 40 years in prison to life. Karadzic filed a motion last week in which he said he considered the Mechanism was in error when it sentenced him to life imprisonment, because it did not take account of “the practices of courts in the former Yugoslavia”, thus violating his human rights. The UN court has so far only reversed a sentence once – in the case of former Yugoslav People’s Army Veselin Sljivancanin, who was convicted over his role in the 1991 Vukovar massacre in Croatia. 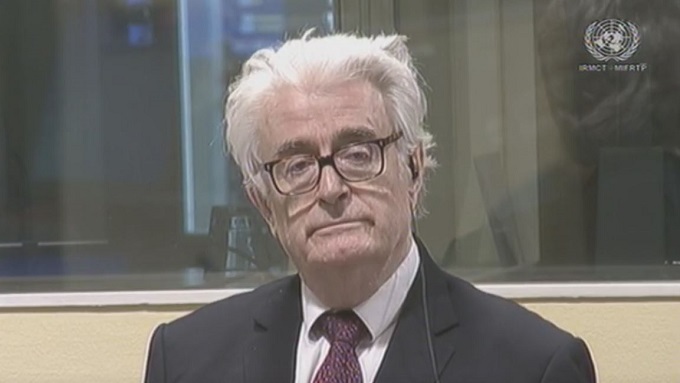 On March 20, the MICT sentenced Karadzic to life imprisonment for genocide, crimes against humanity and violation of the laws and customs of war.